Health is wealth. No wonder, restoring it is costly. My mother underwent a series of Shock Wave therapy to crush then eventually flush out the stone on her ureters. Philhealth only covers a minimal percentage of the bill (about 5%). Thankfully someone shared about BRO Healthcare. Nanay immediately applied for her membership and enjoyed free Shock Wave therapy. It was a big help to our family so I am also sharing some info for the benefit of Isabelino’s. 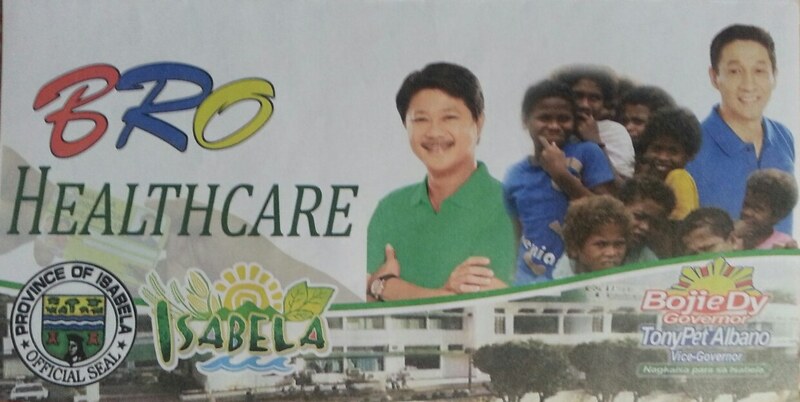 BRO HEALTHCARE is socialized health insurance system made-in-Isabela for the people of Isabela Province. It is an effort of the Isabela government to alleviate the people from the burden of the rising cost of medication and other medical services. The promise: 100% free medical and hospitalization benefits to members with a minimal contribution – PhP150.00 monthly contribution for individual paying members and PhP100.00 annual membership fee for the indigents. Principal member must be a resident and a registered voter of Isabela. What are the documentary requirements to be a member? Voter’s ID or Voter’s affidavit – I passed by the municipal ComElec Office to check the validity of my Voter’s ID. Glad it’s still valid. I am still a voter of Isabela. Current Community Tax Certificate (Cedula) – You can process this from your Barangay Hall or in my case from the Municipal Treasurer’s Office. * Bring the original and photocopy of the documents above. Photocopy services is available in front the Health Care Office. Who are the beneficiaries of a BRO HEALTHCARE Member? As long as you have the complete requirement for the application, the membership process will be done in 15 minutes. There is a lane designated for new membership. If you have to wait, there are seats available inside Health Care Office. Fill out the MMDR Form. 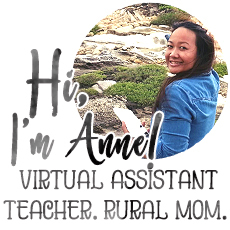 This will capture your personal info, some important numbers and your dependents. You may also be required to bring documents like Birth Certificate and Marriage Certificate as a proof of relationship to beneficiary. Submit filled out MMDR Form together with the photocopy of Voter’s ID/Voter’s Affidavit and Cedula. A Healthcare Officer will then encode your information to their database. Undergo a simple orientation about the program. The Health Care Office makes sure that you understand what the program is all about: where and when to pay for the membership fee, how to properly avail of the benefit, what are the accredited hospitals are few of the things discussed. A pamphlet about the Health Program is given during the orientation. It has a list of accredited Hospitals and Doctors. Bro Healthcare Accredited Doctors and Hospitals – As of May 2014. Pay membership and other fees. Initial membership payment of PhP150.00 peso is required. Additional PhP50.00 (one-time payment only) is charged for the membership card. Succeeding payments can be made in the main Health Care Office or District Hospitals in the province. Important: Keep your payment receipts and always bring them when making a new payment for cashier’s reference. * A minimum penalty will be charged for late payments of monthly contributions. Wait for your Healthcare ID. Printing will take only 5 minutes. 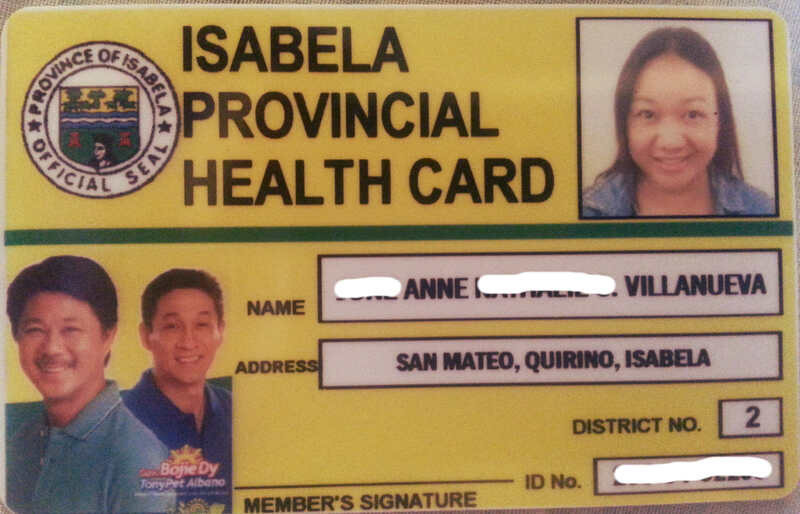 My Isabela Provincial Health Card. 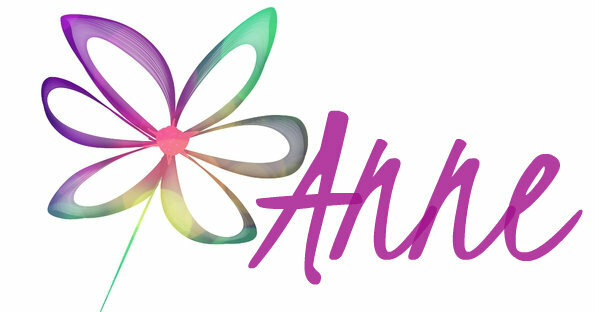 Interested groups can directly coordinate with BRO HealthCare office or call (078) 323 0386 or (0917) 966 1668. A three-month residency period will be observed. This means that benefits of the Health Card can be enjoyed 3 months from registration date. How to Properly Use the Card? Corn is in season. 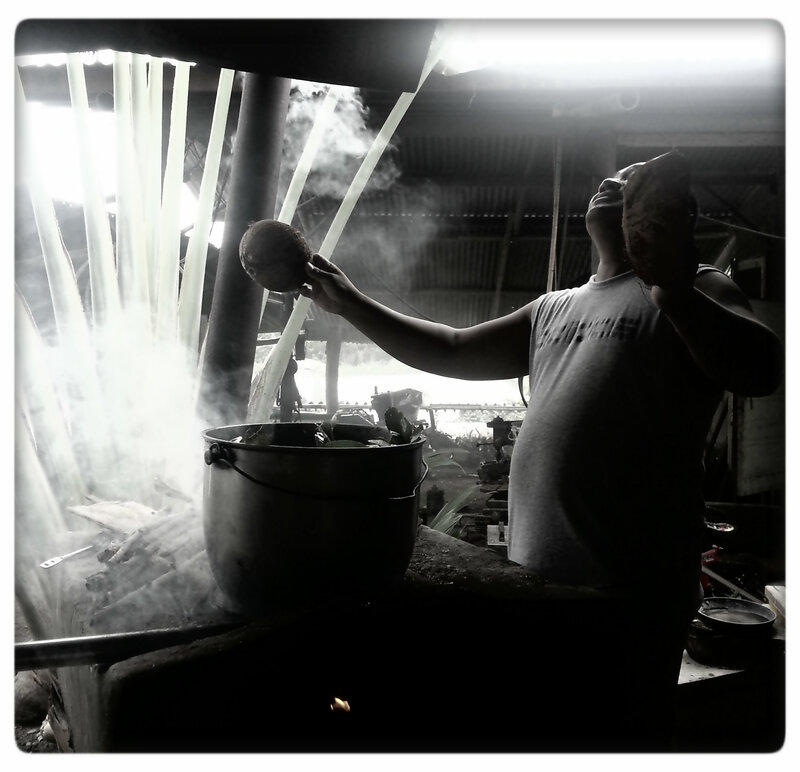 In Isabela, this is the time when you can see ladies waving boiled corn along the highway. Today, I am sharing a soup recipe which is a favorite of mine since childhood. It’s called Corn and Malunggay Soup. Choose corn that are young. You can check that by planting your fingernail on a seed. Milk-like material will come out when you do that. Use a knife to slice off the seeds off the cob. A cheap and nutrient-heavy soup. Heat oil in a sauce pan. Saute garlic, onions and dried shrimp until slightly golden brown. Add corn then stir-fry. Add water to cover the corn. Bring to boil until desired consistency of the corn is achieved. 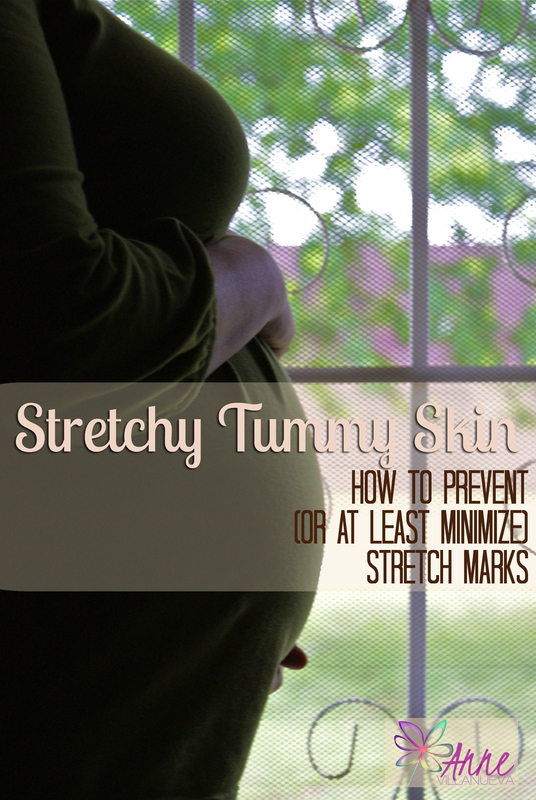 The ideal texture is soft and slightly chunky. More water can be added. Season with salt to taste. Add the malunggay leaves and let boil for few seconds. Remove from heat. Serve immediately. It’s cheap but nutrition-rich. Corn is a good source of fiber, adding malunggay leaves to the recipe makes it a super food. Malunggay is rich in iron and vitamins that are beneficial for pregnant and lactating mommies. 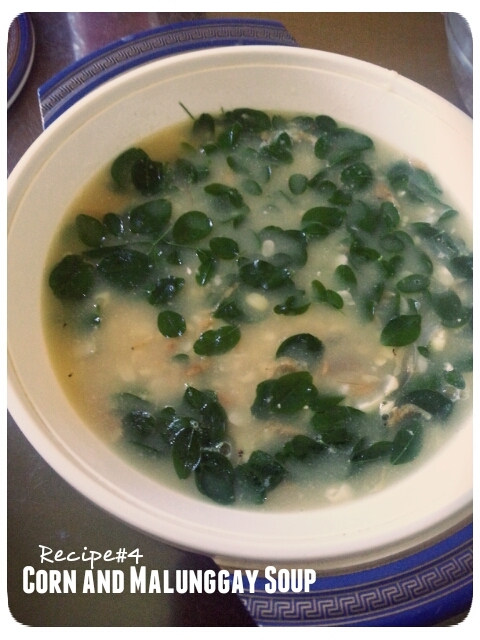 Ampalaya leaves can also be a substitute for the malunggay. Bring in the pads and some extras. Base your estimate based on your flow. Having too many supply will never hurt. 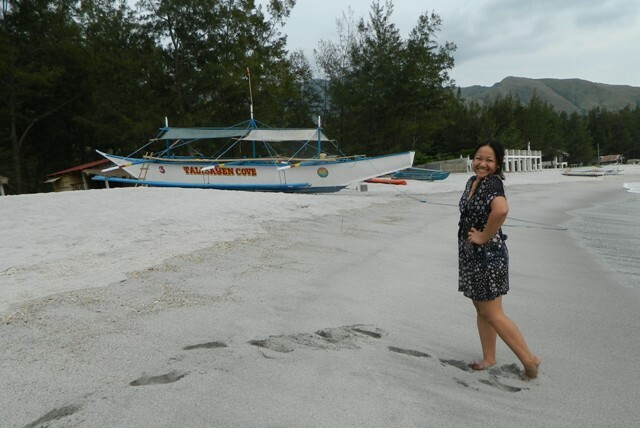 Anawangin is a remote area and I am not sure if the sari-sari stores in the island have pads. For a 2 days and 1 night trip, I brought 3 packs of overnight pads. Overnight pads are recommended for long travels and prolonged sitting. I have read that it’s best to use menstrual cup or tampon if going to the beach with a menstrual period because (1) pads can get wet and soggy when submerged in to the water, (2) it’s noticeable under your suit, and (3) “floating pad” incident may happen. But for me, sanitary pads is still my best option besides there are ways to go around the downside of wearing pads to the beach. If you want to wear flaunt your bikini, choose the ones without wings ’cause it could be seen outside your suit. I opted to wear dark shorts with my bikinis to conceal the adhesives and prevent “floating” incidents. Dark bikini bottom, dark cover-up, dark shorts. Leaks can happen, dark cloths can cover it. 🙂 Dark clothing can also hide those bloated tummies. You can also ask your girl friend to check your rear (but not in an annoying and paranoid frequency). 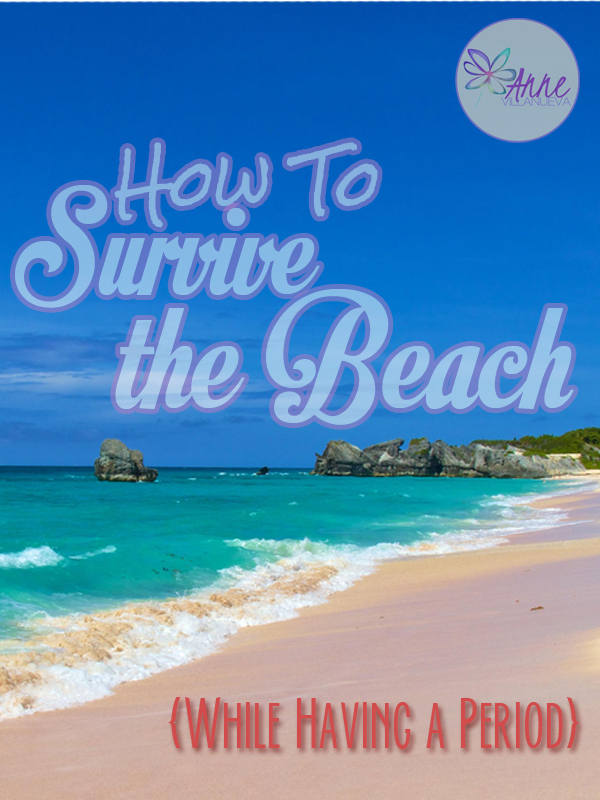 Don’t let period get on your way of enjoying the beach. 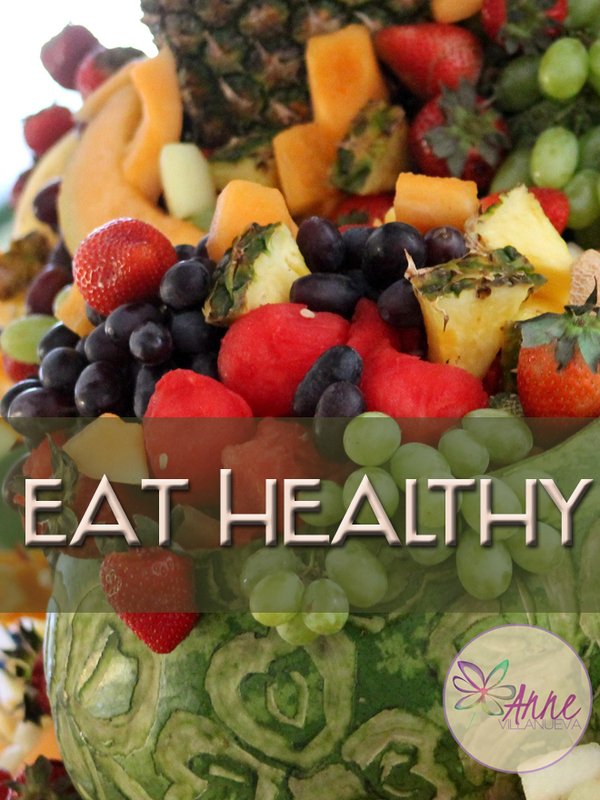 Stress and unhealthy foods can lead to menstrual pain. Ibupropen, Midol can be give you comfort. If those two won’t help, go back to the water and forget about the pain. But, but you still need to listen to what your body is saying, it the pain is too much to bare rest for a while. Relax, feel the sun on your skin and listen to the crushing waves. Find ways to interact with your friends while you are out of the water. Going out of the water for lunch or going for a trek? Change your pad first. You will feel more comfortable walking around on those dry pads. Changing pads is also for hygiene purposes and will keep you from getting rashes. If you’re out of the water, change your pads withing 2-4 hours to keep you fresh. Dispose off used pads properly. Roll it, wrap with paper or plastic then dispose then off in the garbage bins provided. Do not flush them in the toilet nor throw them out the shower window. You don’t want to ruin someone else’s escapade with those pads, right? Period is a normal thing for us ladies. Forget the myths that it is not safe to swim if you are having a period. Don’t worry about sharks, they will not smell your blood. 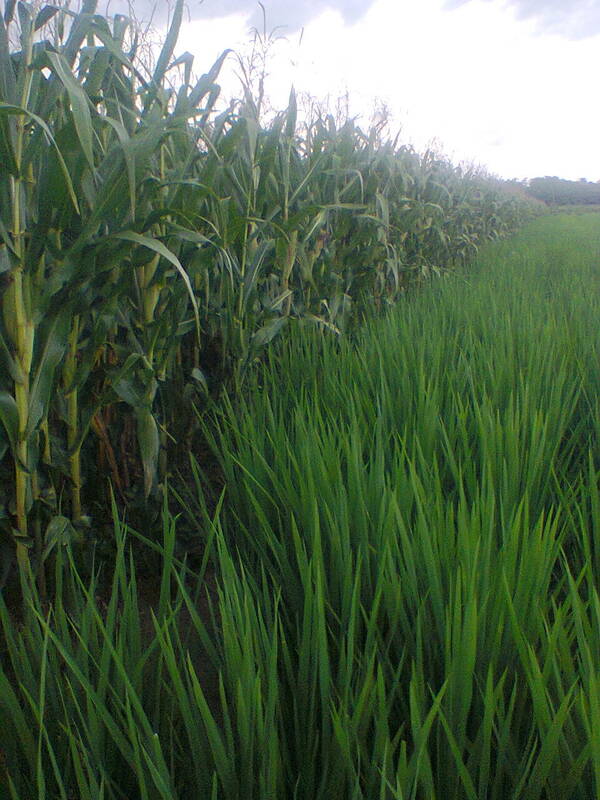 In our farm, we currently produce rice, corn and tobacco. The rising cost of producing corn convinced my father to shift to upland rice and maybe concentrate on it in the future. His new found discovery has been a topic for in conversations he had with other farmers. This breed of rice can thrive even on the lack of water supply. There are irrigation canals in our farm but we have never benefited from it. Irrigation water never reached our farms. The farmers’ solution to the absence of irrigation is deep well that requires gasoline or electricity to pump up water from an underground source. In times of drought, expenses goes higher and in the end there will be lower profit. Upland rice growing alongside the corn. A farmer does not have to go through the process of sowing and replanting. Load the seeds to a mechanical seeder and it’s good to go. Planting rice can be done in a short period of time even by a single person. Lesser expenditure is expected because of it’s low-maintenance characteristic. Expect no expenditure for molluscicide – pesticide against mollusks or kuhol. Dry soil is not a conducive breeding ground for these pests. Also, there’s no need to maintain dikes. Wetland variety requires dikes to lock in the water in the puddles. The seeds is not widely available. My father and I have already checked the IRRI in San Mateo, Isabela. The IRRI storekeeper advised us that this kind of variety is still on the process of evaluation. Luckily, we are able to get some in Cagayan through the help of a relative from Apayao Province. This breed of rice can be harvested in four months time (120 days) a month longer than the wetland variety. It was our first cropping season and we are hoping that the outcome is what we have expected. 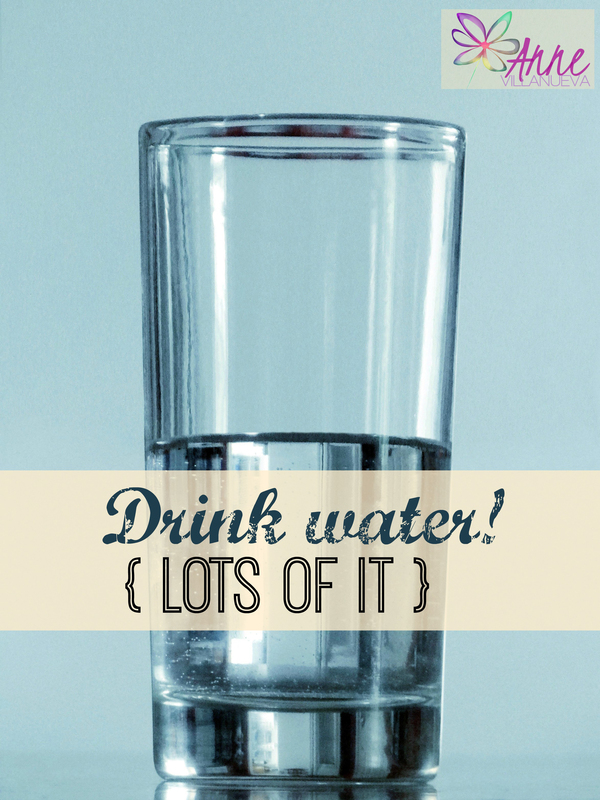 After brushing, I have to drink a couple of glass of water because my mouth feels dry. I thought I am just thirsty but having dry, chapped lips too might mean something else. Pipi also has mouth concern-bleeding gums. It’s nothing to be alarmed with the bleeding. His gums are simply sensitive (or he could be brushing his teeth in a wrong way causing trauma to his gums). When I was younger, Sensodyne was my dentist’s recommended brand. But it’s too expensive and I didn’t like the taste. 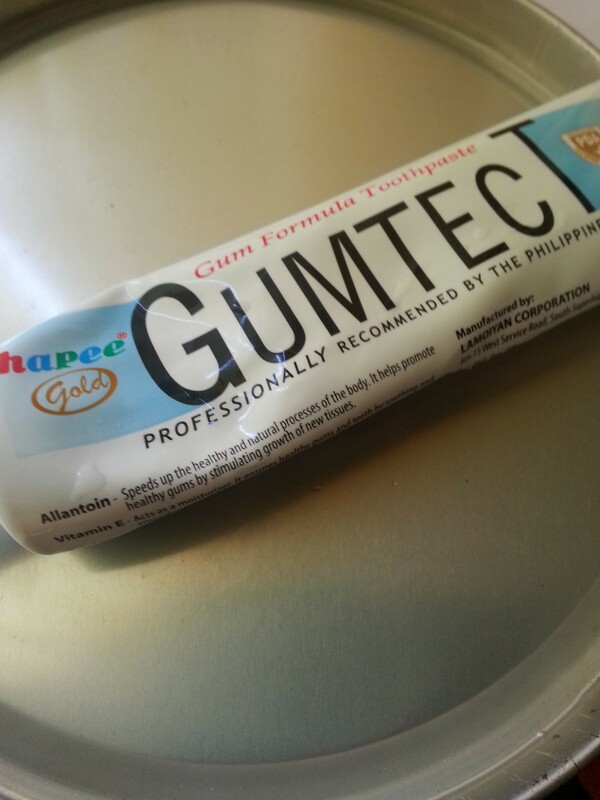 A friend recommended using Hapee Gold Gumtect ’cause she thinks that my mouth may need some kind of a “moisturizer”. Gumtect contains Vitamin E to soothe and smooth damaged tissues and Allantoin to speed up the growth of new tissues in the gums. 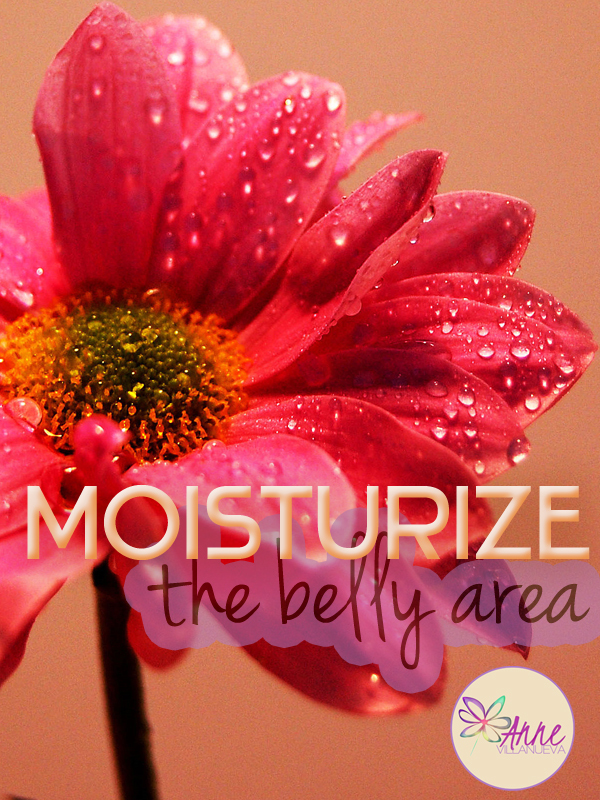 It also has Triclosan which is known to reduce plaque and tartar build up. (Source: Hapee Gold Gumtect insert). I am using this toothpaste for more than 2 years now and still happy with it. Note: I am not paid for this post. Only sharing a pleasant experience. Carbonara was introduced to me as a cream-based with lots of butter, cream and mushroom. I watched Jamie Oliver’s Food Tube to check out new post and there I saw an interesting link — The Real Spaghetti Carbonara. It’s interesting to learn that the real authentic Italian spaghetti carbonara doesn’t call for CREAM. Yes! No cream. Basically, eggs and bacon. Some of Jamie Oliver’s followers commented that a cream-based carbonara that we know can be confused with creamy fettucini. Check out the video below for a demo on how to cook a The Real Spaghetti Carbonara. 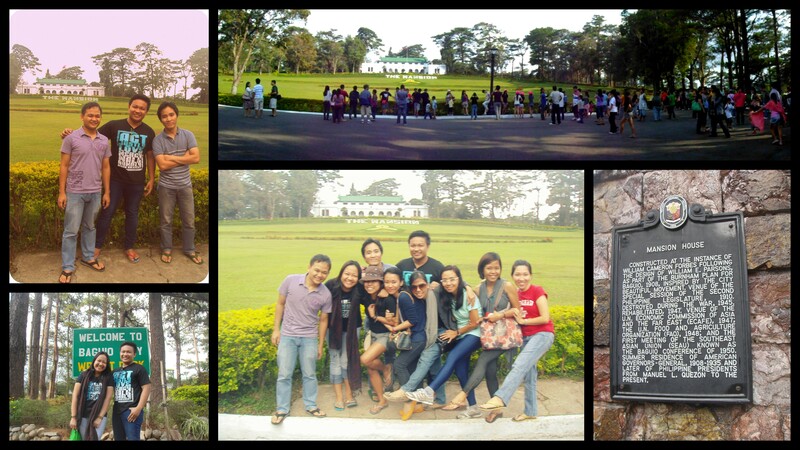 Baguio is 2012’s choice for our annual Lenten get-away with friends. This year we are tagging along new faces to join our crazy adventures. 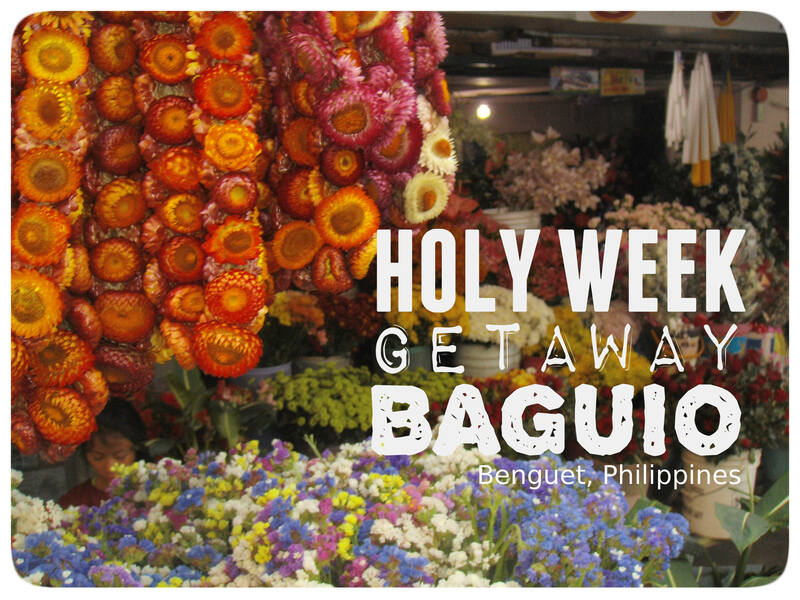 So how it is to travel to Baguio on a Holy Week? Since we are traveling in a big group, we opted to hire a van instead of braving the swarm of commuters in the time of the year. Our driver, Kuya RK picked us up from Mcdo Quezon Ave and started out at 4am a very early breakfast. We have to be rolling this early to avoid the holiday rush. At around 8PM, we found our van on a very long queue for Tarlac Exit. It seems like all roads lead to the North. Before lunch we are already in Baguio. Our group stayed in a house which a friend of a friend recommended to us. It’s a 15-minute drive from Session Road. It has good supply of water, has 3 toilet and bath and allows to cook. The thing is: the access road is so step that the girls in the group screamed when the van first entered the village. A little after 1:45PM, we left our “home” to begin our Baguio adventures. We have munched enough pasalubong from Davao so we are OK to eat lunch at 3PM. But still lunch have to be good because of many good reasons. We reached Baguio safely, it’s our first meal in Baguio among the few. 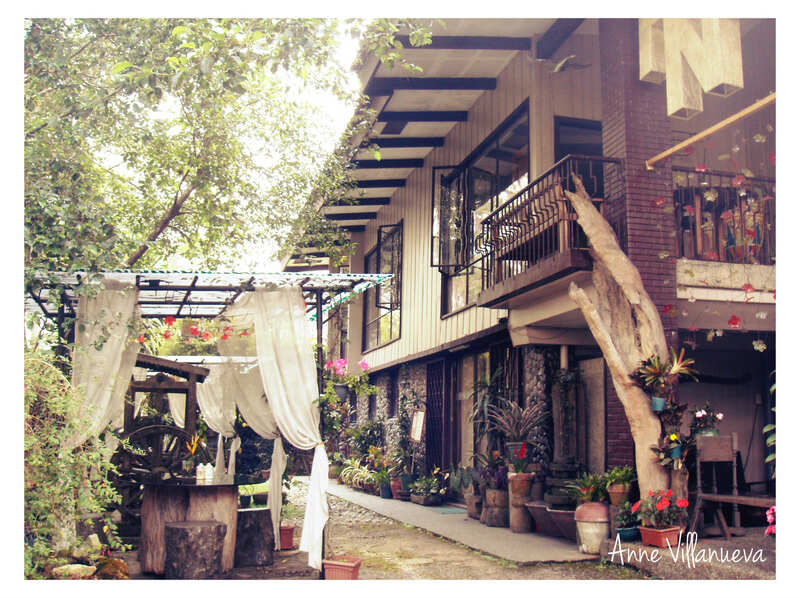 A few meters from Teacher’s Village is Pnky’s Travel Cafe: a travel themed cafe that primarily caters to the customers of Pnky’s Home Bed and Breakfast. It has a very cozy, homy feel. The landscape is so cute that our group can’t help but pose for some photos and take photos of the things that interest us. We chose an outdoor table so it’s dining with nature. This is the cafe’s menu. 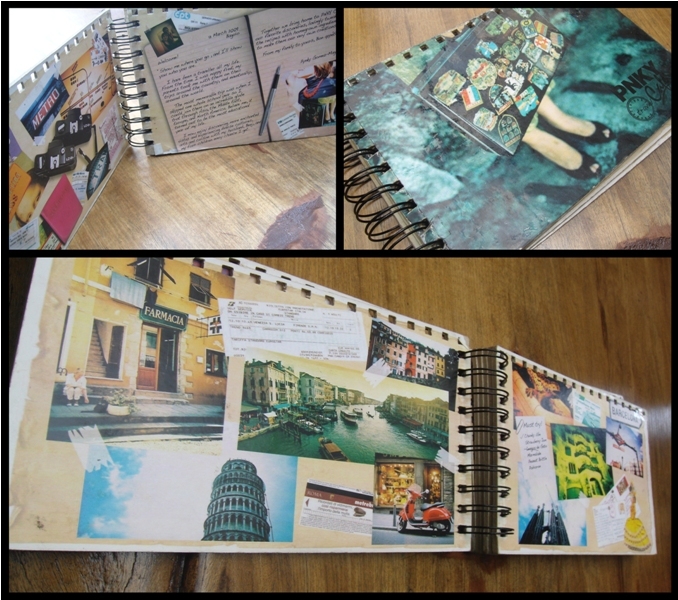 I like the travel scrapbook idea. Take a peek of what’s inside. Owners can be concluded as travel enthusiasts as well. 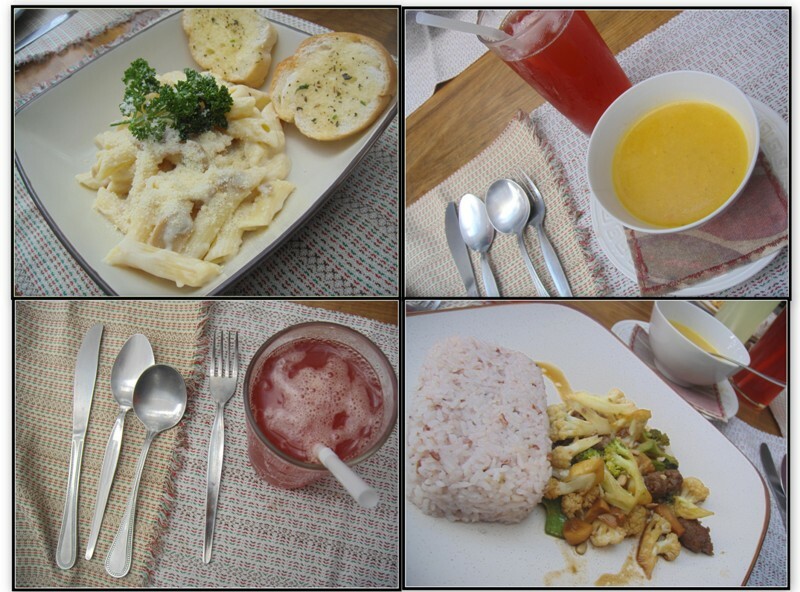 Most, if not all of the food offered are European with a Cordilleran twist. For starter, I chose Potato Soup. Yum! Vaticani, beef strips with cauliflower and brocolli sprinkled with sunflower seeds served with brown rice and Strawberry Iced Tea. My brother went for a serving of Ciao Bella Carbonara. Serving is like, Ba’t ang konti? But believe me, the meal is very tasty. Check out what other’s say about Pnky’s. The adventures continues to the Mansion House. As far as we know this is a presidential home in Baguio. PGMA likes to spend her Christmas her. Civilians are not allowed to go beyond the gate so we are just tourists standing on the outside looking in. Wright Park is just across the mansion. 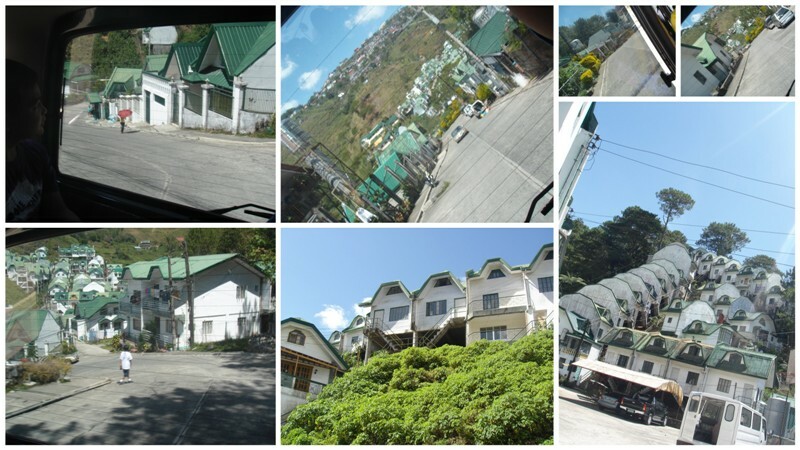 I’ve frequented this area on my previous visits in Baguio so in the back of my mind: there’s nothing much to see here. T his is an area you might want to avoid when visiting Baguio on a Holy Week. It’s where most souvenir and pasalubong items were bought. Our van got stuck in traffic for hours. I wondered why we have to pass through this area knowing the traffic situation. I just decided to take a walk to Mine’s View because I felt suffocated inside the van. I did not bother to reach the viewing deck anymore though. I was contented with munching grilled corn along the side walk, observing tourist do their haggling. I found this interesting piece of art. 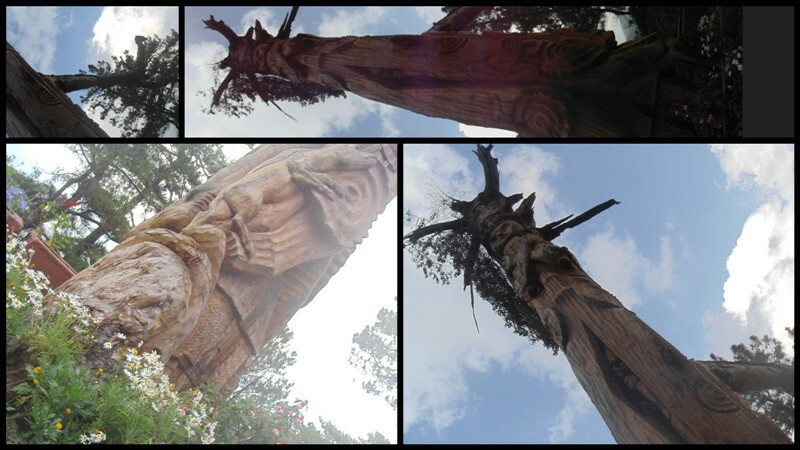 This used to be the oldest tree in Baguio. It’s now a monument, a sculpture depicting the rich culture of Cordillera. It’s almost evening and energy is starting to reach the low reading again. Since our home allows us to cook, we are taking advantage of this perk. Next stop, Session Road Market. I am not sure if that’s how the locals call it. 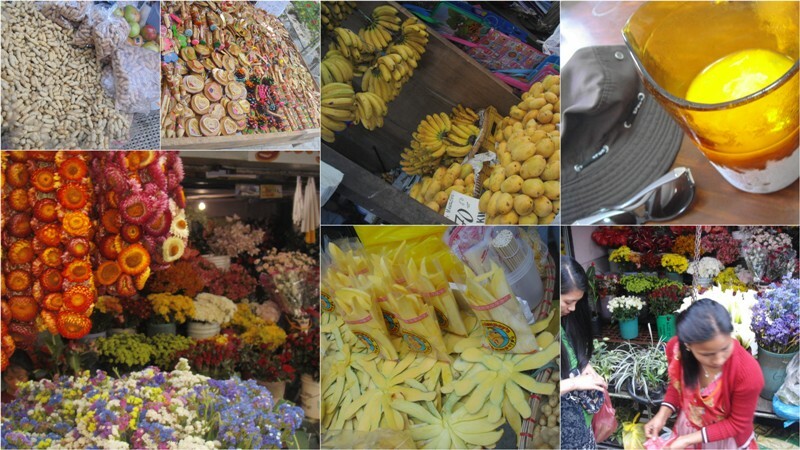 I love markets specially those that offers very fresh produce. You know it’s fresh kasi madami pang lupa-lupa. Hihi. 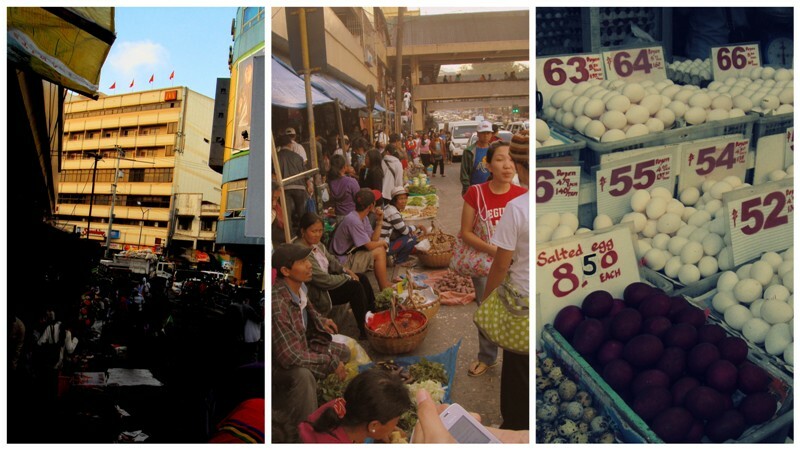 Baguio is undoubtedly offers the freshest. Would you still haggle for a lower price? It depends. Vendors who sells on the sidewalk offers the best deals. I believe they are the ones who sells products straight from their backyard. No haggling for them.